Seventeen automotive engineers who previously worked for Apple left the company to join self-driving startup Zoox following Apple's shift away from developing a full autonomous car, reports Bloomberg. The group of engineers, who originally came to Apple from several Detroit carmakers and suppliers among other automotive companies, are said to specialize in designing hardware like braking and suspension systems. Many engineers who were recruited for Apple's car project left as Apple pivoted away from developing its own autonomous vehicle and instead began work on an autonomous driving system. Under the leadership of Bob Mansfield, the "Project Titan" car team is now developing autonomous software and testing that software out on the road in Lexus SUVs. The latest exodus to Zoox suggests Apple is less likely to revive ambitions to make a car itself. The engineers found themselves increasingly sidelined and surplus to requirements at Apple, and were hired by the startup in piecemeal fashion in recent months, the people said. 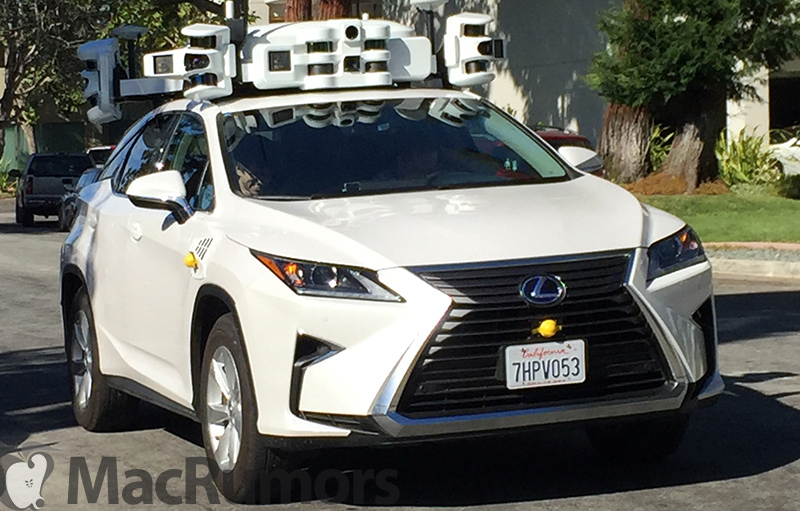 It's not entirely clear yet what Apple plans to use its autonomous driving software for, but the company is exploring options like self-driving shuttles to ferry its employees from campus to campus as part of further testing. In the future, Apple could partner with a ride-sharing company or a car manufacturer to deploy its software. Zoox, meanwhile, is working on an a full autonomous car in order to create a fleet of autonomous vehicles. The company has raised more than $250 million and has a valuation of more than $1 billion. CEO: "what should we call ourselves?" I wish them luck, but I suggest perhaps changing the company name. They don't plan to create an autonomous car. They plan to create buzz, get attention, and get bought out. The "one billion" valuation is suspect to me. This is the biz model. This is the spin. They would sell today to the first sucker who comes along. It better be as good as the Jonny Cab. I think he's a very close cousin of Siri. I guess the car thing REALLY is dead! So a rumor about a departures means the rumor about an unannounced product are dispelled? Probably just easier to mount that on top so you can swap out sensors easier and focus on the tech. Let design and manufacturing work on the integration after there is a proven concept. I'm wondering if it doesn't go further of identifying how many sensors you really need. I imagine you can discern through statistics what 2 sensors would have missed, 3 sensors, etc. At that point, you look for 99.9% efficient or something like that, and use no more sensors than that.